"We don’t have to do OMD; we do it for the hell of it. We're all great friends and we all love each other." - Paul Humphreys. Orchestral Manoeuvres in the Dark are Electro music giants. Founded by Andy McCluskey and Paul Humphreys, the Merseyside act are one of the most successful bands to have emerged from the early eighties’ scene. Revived in the mid-2000s, OMD are today as relevant as ever, as the top 5 chart placing of 2017’s ‘The Punishment of Luxury’ proves. We caught up with keysman Paul, for a chat about the past, and the present, ahead of the band’s appearance at Rewind South. Talking loud and clear; Eamon O’Neill. 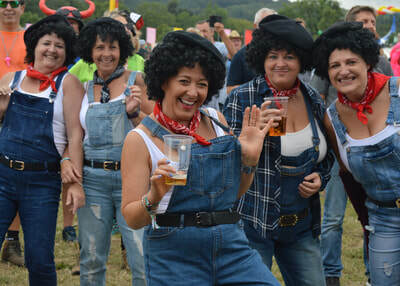 Welcome to Rewind Festival Paul; how are you today? I’m great. I’m really looking forward to this. There’s a bonkers crowd, by the looks of things, so we’re just going to go on and party for an hour. Is that what the OMD manifesto is these days? It is today. We tailor our show for the crowd that’s in front of us. These people just want to sing along with hit singles, and we’re fortunate enough that we’ve got twenty-something hit singles, so we pick fourteen of them, and we’ll play them tonight. That’s a pretty decent boast to have. Yeah, we’re very, very lucky to be able to just play an hour of hit singles. You know, obviously there’s two sides to the whole thing. We like to celebrate our catalogue and we’re not ashamed of our hit singles; we love these songs and they’ve been very good to us. We love to play them still, we’re not bored with them, so we do that, but also, it’s important for us to balance. We release new records. We had our album ‘The Punishment of Luxury’ out last year, and that went Top 5 in the U.K. and in Germany and America, so it’s important for us to keep going forward as a band as well. You’re one of the few bands from the Rewind era who are consistently putting out new albums. We straddle the sort of, nostalgia / new band going forward thing. Some people want to do one or the other; we like to do both. The band has been around for a long time, but you did take a break for a while. We did for a little bit. We stopped in the mid-90s. The mid-90s was a difficult time because Electro was consigned to the 80s, and we were kind of beating our heads against a brick wall doing Electro in the 90s. It was all about Britpop and Grunge and all of that, and there was no real place for Electro; the radio didn’t want to play it. So we stopped for a little bit, and then we got into the 2000s, and the phone started ringing again, and promoters wanted us out on the road, and our records started selling and people started saying good things about the band. There was a momentum building, so we thought; “Oh come on, let’s just do it again for a bit”. 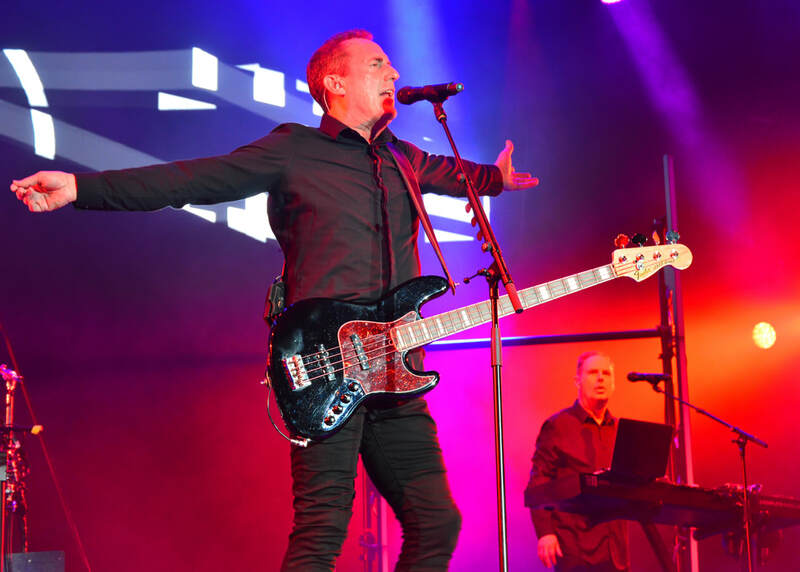 We put nine shows out on sale, and those nine shows turned into sixty-nine shows, and then we were doing OMD again. This was twelve years ago, that we got back together. Have you been surprised by the success you’ve had second time around, particularly with the new album? Yeah, we were amazed actually. I mean, the reviews were incredible, and the fans really took to the album. They put it in the top five, so we’re doing something right. But you know, we’re just enjoying it; we’re just having fun with OMD. We don’t have to do OMD; we do it for the hell of it, and we're all great friends. It’s not like we all have to turn up in separate Limos and sneer at each other on stage; we all love each other. I mean, Andy and I have known each other since we were 7 years old; we went to primary school together. I’ve known Martin [Cooper], the other keyboard player since he was 11; we’re all mates from school, we’re all school friends. Those bonkers OMD titles! It’s ‘The Punishment of Luxury’, so it’s about consumerism, really; about all these corporations who are feeding things to make 20% more profit, feeding us things that we don’t necessarily need. We’re all guilty of it; I’m a consumer, I buy a lot of nonsense I don’t need. In the current state of the world, it seems the perfect time to be writing about subjects like that. We’ve never been a band that’s written about… well, we do do love songs, but we loosely disguise them as well, but they’re usually songs about things that we’re interested in like; aeroplanes that drop atom bombs – ‘Enola Gay’ – or historical figures like Joan of Arc, and oil refineries, and genetic engineering. There are all of these topics; subjects that Andy and I are really interested in, and we want to kind of, use what we know, not necessarily to preach, but maybe to make people think about things quite differently. ‘Enola Gay’ is quite a conundrum as it covers a serious subject, yet is quite an upbeat song. It’s a very serious subject, but musically, it’s a very sort of light, fluffy song. We sugar-coat our ideas; I mean, you could write a song about dropping the atom bomb on Hiroshima in a very dark way, but no one would want to buy it, probably, so we kind of sugar-coat our more darker subjects. It means that they’re multi-layered, so you can just sing the tune, not know what it’s about, or if you want to delve in a bit closer you can see that there’s more to find. Finally, have you seen the Alan Partridge episode where he talks about your album ‘Architecture & Morality’? I think he’s a bit of a fan, actually! It was really funny. If I’d have known I would have phoned in. ‘Architecture & Morality’ is sort of how we describe our music, because there’s the architecture, which is the rigid structure of the Electro, but then there’s the morality of the subject matter that we deal with that’s very human. So that’s why we chose that title; it summed up the band. 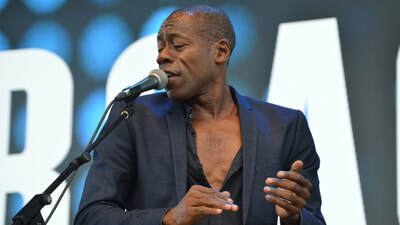 INTERVIEW: Roachford Chats Production, Performance & Partridge! 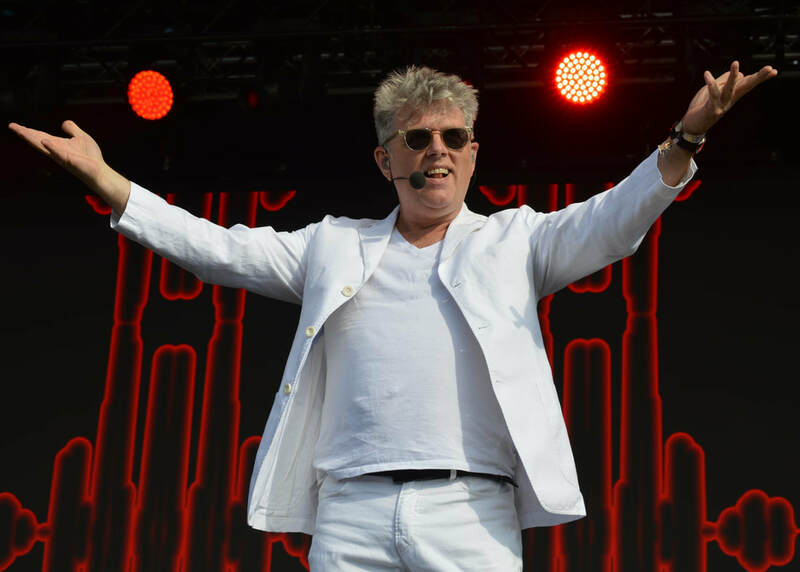 EXCLUSIVE: Thompson Twins' Tom Bailey Talks His Return to Pop & Playing Live Aid.